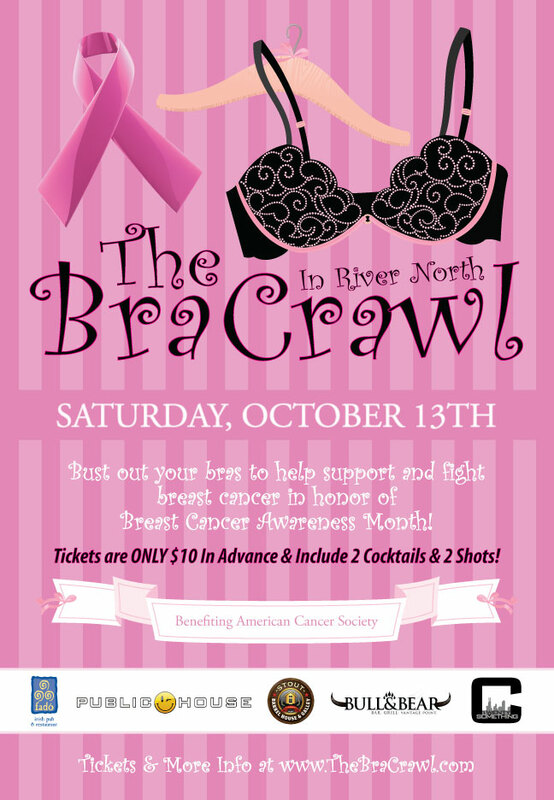 The second annual Breast Cancer Awareness bar Crawl will take place on October 13th to benefit the American Cancer Society. At 1:30 p.m., the evening will start at Public House then move to Bull & Bear, Fadó and Stout Barrel House and Gallery. To be part of the fun, tickets can be purchased for ten dollars which covers two cocktails, two shots and express entry! If you do attend, you are encouraged to wear a bra (over your clothes) or pink. Or why not both to really show your support?! “The Bra Crawl is a fun, unique, and social way for young adults to participate in the community as well as contribute to the fight against breast cancer,” said Event Coordinator Ashley Barillas. We'd have to agree, this sounds like a lot of fun and it's for a great cause. And as always, tune in to wrbc.fm!